Heavenly Hardwood Floors ensures a beautiful finish from our professional sanding and refinishing services throughout Cleveland! Hardwood Floor Refinishing — $3.25 per sqft! Includes sanding, your choice stain, 3 coats polyurethane. Heavenly Hardwood Floors is 100% committed to making sure your Hardwood Floor Refinishing project is completed in a timely and professional manor. Our knowledge, experience and attention to detail are what separate us from others in the Hardwood Floor Industry. 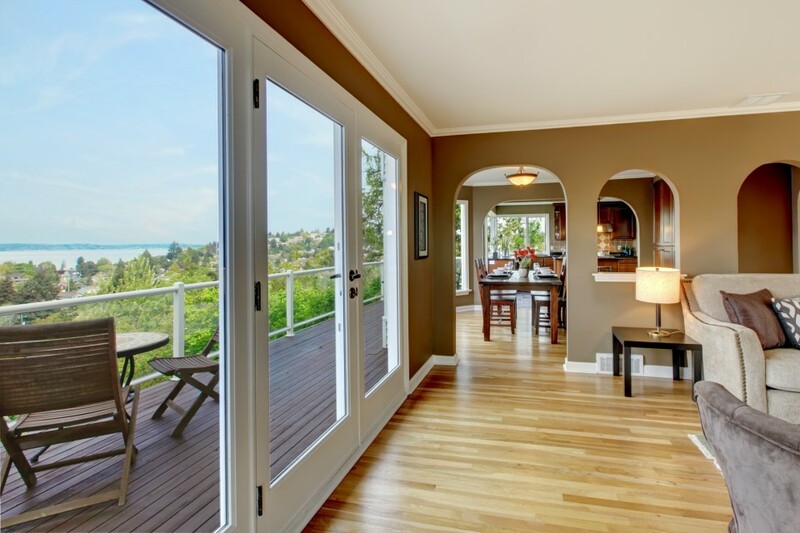 Just ask our satisfied customers whose Hardwood Floors we have serviced! The most important part of any Hardwood Floor Refinishing project is the sanding process. The goal is to make sure the hardwood floor is completely flat and free of any sanding marks that could ultimately reveal itself in the finish of the completed Hardwood Floor. Through years of dedication, Heavenly Hardwood Floors strives to make sure each sanding process is completed with the utmost care and attention to detail. We also take every measure possible to eliminate dust in our sanding process. This is done by the equipment we use as well how we prepare the work area prior to sanding. Upon completion of the sanding process, Heavenly Hardwood Floors will present several stain color samples applied directly to your Hardwood Floor. Applying the stain colors samples directly to the floor allows the customer to see how the stain reacts with their particular type of wood. The age of the wood may alter how the wood accepts the stain from lighter to darker. Therefore, Heavenly Hardwood Floors will walk you through the process and help determine the best stain color options for your particular Hardwood Floor. Once the stain has been chosen, Heavenly Hardwood Floors will go to great lengths to make sure the stain is applied, by hand, in a uniform and consistent manner. This will ensure consistent drying and the proper acceptance of polyurethane to give the Hardwood Floor a rich, consistent color and tone. The final step in the Hardwood Floor Refinishing process is the application of polyurethane over the completely dried stained Hardwood Floors. This is the “icing on the cake” which requires a skilled professional to apply the polyurethane in a consistent and even manner across the Hardwood Floor Surface. Applying either too much or too little polyurethane can have a negative effect in the final finish of the Hardwood Floor. Once the initial coat of “poly” is applied, it will be left to dry over-night. Once dried, the “poly” will be buffed out to eliminate any imperfections before the second coat of “poly” is applied. This buffing and coating process is repeated for a final time. Heavenly Hardwood Floors will ultimately apply three coats of “poly” and buff the floors to ensure a flawless and spectacular finish to your hardwood project!